Heading for Bethlehem, a Palestinian city located to the south of Jerusalem. First, I took a bus going down to the main crossing point into Bethlehem called Checkpoint 300. 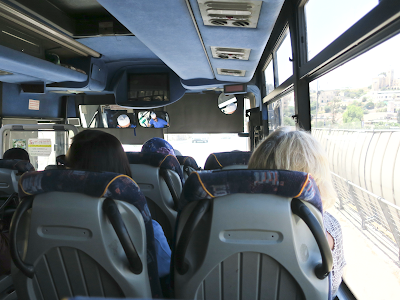 You need to get off the bus before the checkpoint and walk along the obnoxious concrete walls built by Israel to enter the West Bank territory of Palestine. Arrived at the Palestine side which is under constant surveillance by the Israeli military. Here, you can't use Israeli cell-phone carriers anymore, and need to switch to the different dial-in code for Palestine, 970. However, when it comes to currency, the Israeli new shekel is commonly used. The Japanese government has not recognized the State of Palestine, but I say Palestine is my 68th country visited (including pre-reversion Hong Kong and Macau). 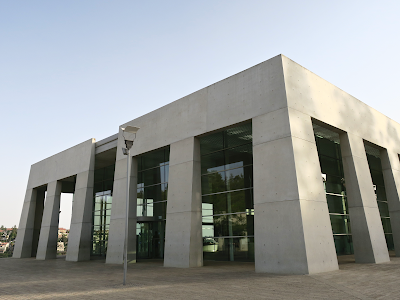 Yad Vashem is Israel’s largest Holocaust memorial located on a hill in the outskirts of Jerusalem. The memorial consists of beautiful architecture by Moshe Safdie, an Isearli/Canadian/American architect who designed Marina Bay Sands in Singapore. When I exited the gallery after learning from history, I found the whole memorial was lit by the setting sun and the sky over Jerusalem had sublime colors. 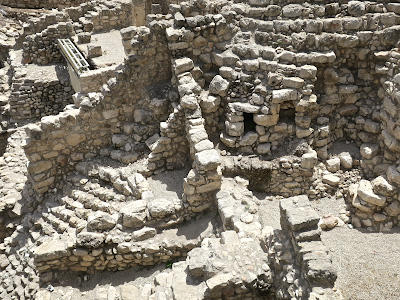 I took a self-guided tour of the City of David—an archaeological site near Jerusalem's Old City which is said to be the original urban core of ancient Jerusalem—among noisy Israeli kids who were visiting this site on their school trip. Exploring an ancient water tunnel called the Siloam Tunnel beneath the site was fun. The lighting they installed in the tunnel made me think that this place could be a great party venue. From the Tower of David to the Dung Gate. Then to the Lions' Gate along the Eastern Wall. I kept walking around the Old City avoiding tourist crowds and eventually arrived at the entrance of the Muslim Quarter. A policeman at the gate told me I was not allowed to go beyond it because I'm not a Muslim. One of the streets I happened to stroll down today is believed to be the path that Jesus walked carrying the cross on the way to his crucifixion. The next stop in the Old City was the Western Wall a.k.a. Wailing Wall. 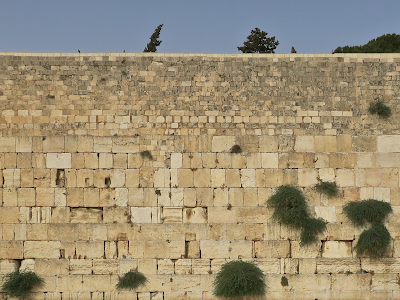 The wall was originally built in the pre-Christian era as part of the Second Jewish Temple on the Temple Mount and is the holiest place to pray for Jews. Jews are touching the wall, but as an outsider, I stood at a respectful distance from the praying area by the wall and just watched the site. It looked too sacred. 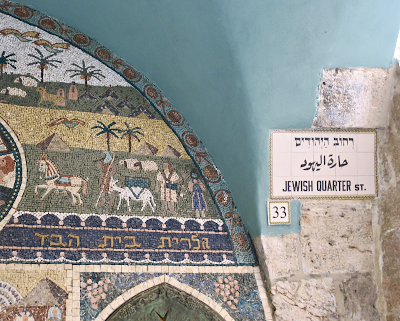 Started exploring the Old City of Jerusalem filled with historically important stories. 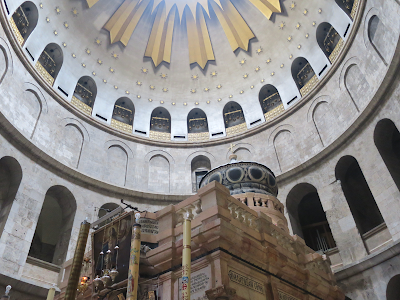 First stop: The Church of the Holy Sepulchre —the site of Jesus Christ's crucifixion, burial, and resurrection. That means people believe that this place was Golgotha. In Barcelona, in Armenia, in Tokyo, in Moscow, and in Ishinomaki, I've visited many Christian churches and it seems this one is the "final boss" of them. 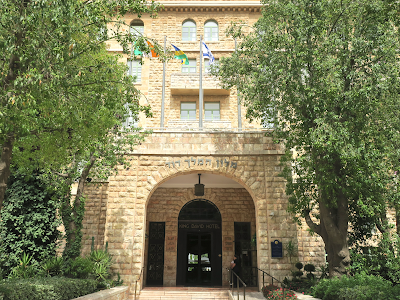 Since its opening during the British Mandate period, the King David has witnessed history including the 1948 Arab–Israeli War, Israel's independence, and the Six-Day War. It has also been hosting foreign royalty and heads of state upon their visit to Jerusalem. 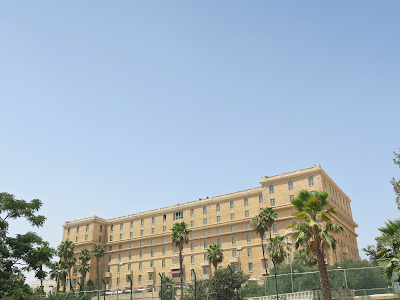 A few years before the 1948 Arab–Israeli War began, this hotel which housed the British Mandatory authorities of Palestine back then was bombed by Zionist underground organization. Tomiichi Murayama. Does anyone remember this guy? 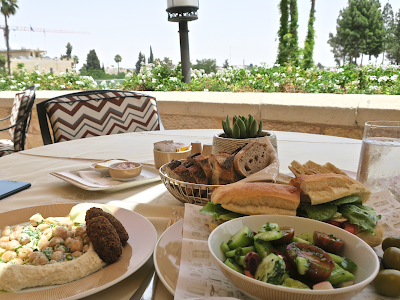 I drove a Honda Civic comfortably on Highway Route 1 from Tel Aviv and checked into Jerusalem's most iconic hotel which opened in 1931. 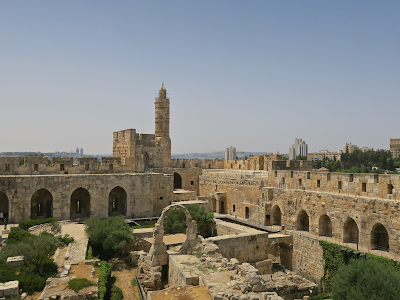 They gave me a spacious suite overlooking the Old City and the Tower of David. A multi-layered history is just outside of my window.